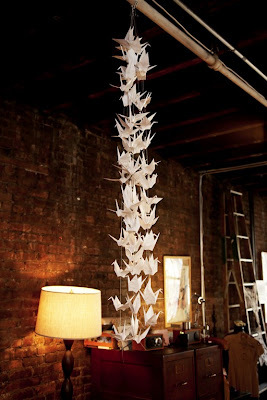 This photo generated a very strong vision of some of the origami pieces I've made myself years ago all hanging form the ceiling. On invisible threads. Am I the only stalker of the selby? It has so amazing people and places portrayed (uh, please take me home with you?). Bold, colorful stuff, just I like things to be. Also, big time object clashes. Associations of unexpected items, cool living-rooms; pieces of furniture belonging to different time frames or styles. All a bit on the edge, a bit out there, but surprinsingly refreshing to see. And yes, hand painted words, too. So-so cool. Do try it when you get a bit a free time on your hands, it's highly advisable. Through this particularly post I found out about Liquid Architecture. It's a band with a cool sound, very much like some other french rock bands I used to listen on repeat back in highschool.